Mary Cassatt’s work focuses a lot on mothers and children, which is why kids will find her work relatable. 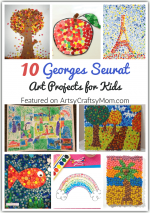 Let them learn more about this awesome artist with these Mary Cassatt Art Projects for Kids. Feminism has many different avatars. On one hand, you have the fiery Frida Kahlo, who openly rebelled against the patriarchy, and adopted bold measures like having an open marriage and painting graphic images of women. On the other hand, you have the relatively quieter American artist Mary Cassatt, who persistently fought against male dominance in her own style. And this difference is not more evident in any place than in the art of these two incredibly talented women. We’ve already discussed Kahlo’s style previously and today, we’re going to look at Cassatt’s impressionist art that was just as effective in promoting the case for equal rights for the sexes. Cassatt’s work is very distinct – they feature women in all spheres of life. Of course, most of them are from scenes she observed personally, but the beauty of her art is that generations later, women across the world can still relate to what she painted. Her work features women socializing, reading, playing cards, having tea and so on, but her most popular works are based on mothers. And these aren’t pictures of firebrand mothers who fought a war – they’re images of mothers and children in everyday life, bathing, comforting, nursing and more. Children will find these very relatable, and they’ll love realizing that throughout time and in all lands, mothers and children have always shared a special bond. 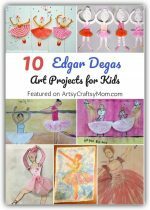 So once the kids have had an insight into the artist’s work, let them get more involved with these Mary Cassatt art projects for kids! The women in Mary Cassatt’s art depict the style of 19th Century America, and a good many of them wore elaborate hats. This project from Hip Homeschool Moms picks out this little detail and shows us how to make a papier mache hat that reflects Cassatt’s color harmonies. 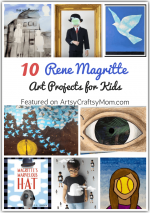 A super fun project since kids can decorate the hats once they’re ready! Mary Cassatt’s work is all about capturing human life, especially in the emotions we go through everyday. The faces she painted were often slightly to the side or tilted, but they all had a good line of symmetry. Jamestown Elementary Art Blog has a project for kids to make their self portraits, using only pencils – complete with an ornate frame! Mary Cassatt wasn’t just a painter – she was also a talented printmaker. The technique she used was Japanese printmaking, which involves carving or etching the picture on one medium and then printing it on to paper. Kid Create Studio has a detailed tutorial on using this technique to create simple art. Cassatt’s work is part of the Impressionist movement, and she is referred to as one of the “les trois grandes dames” or Three Great Dames of Impressionism. Impressionist artists use small brush strokes and their paintings have an element of movement. This shaving cream project from Meaningful Mama captures this effect beautifully and is an easy one to try! There are so many books about Mary Cassatt for kids that prove how much the younger generation will enjoy her work! This book by Mike Venezia is both informative and fun, and talks about the artist and her work while featuring color pictures of her paintings. Mary Cassatt’s paintings focused a lot on relationships. While most of them were about mothers and children, there were also friends, fathers and more. The images captured the sweet little daily realities of these relationships, like friends playing cards or a mother bathing her child. Art for Small Hands has a project where kids use colored chalks to create their own relationship portraits. We already know that Cassatt painted a lot of hats, and we’ve featured a wearable hat earlier in the list. Kindergarten Art Class has a project that is kind of Cassatt meets Warhol, with lots of color in the ladies’ hats! 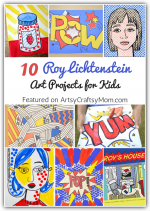 If you’d like to introduce your kids to Mary Cassatt’s other favorite technique, monoprinting, you can check out this project from Kinder Art. 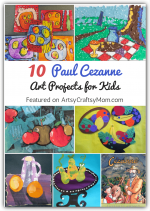 With three easy ways to go about making prints, even little kids can try their hand and this kind of art! If you look closely, you’ll see that Mary Cassatt painted many tea cups! This was probably since having tea was one of the main avenues of socializing for women of that time, when most others weren’t open to them. This lovely paper mache craft from Ann Wood recreates this focus on tea cups by making them out of paper and then painting vintage designs on them. Mary Cassatt’s life is an example of how educated and well-read mothers raise daughters who are independent and know their mind. Her mother, Katherine Cassatt, was a huge influence in her life, and is probably another reason mothers feature so much in her work. This coloring page is based on Mary’s painting of her mother reading the paper, titled ‘Reading Le Figaro’. 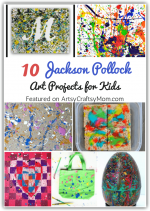 There’s one thing everyone will notice from doing these Mary Cassatt art projects for kids. Cassatt’s paintings rarely feature people sitting idle or posing for a painting – they are all involved in some activity or the other. And that’s the core of what she believed; that every man and woman should have the right and freedom to work, with equal opportunities. As she said, “Women should be someone and not something.” Now if that isn’t a feminist, we don’t know what is!